Welcome to The Home Inspector Experts of Queens, Long Island! We are one of the premier home inspection companies in the area. We have been conducting inspections across Queens and surrounding cities for almost three decades. We are fully certified and licensed by both the state of NY. Real estate in the Queens area can be a significant investment. To better protect that investment, you should hire an experienced and reputable inspector. At The Home Inspector Experts, our technicians are among the best trained in the industry. We will methodically inspect a structure to ensure that all its systems are in good working order and its structure is sound. Our written reports provide information to help you make an informed decision regarding your real estate investment. No matter if you are selling or buying, an inspection can put you in a better position to negotiate or set a price. We offer the following assessments for your home. Before Listing Your Home: Before you set a sales price for your home, it’s smart to order a home inspection. By doing a pre-sale inspection, you will gain a full understand of your home’s actual condition. Not every problem is obvious. Damaged roof tiles, water seepage in crawl space, and termites are just a few things which can be invisible to an untrained eye. Once you know what, if anything, is wrong with your home, you can make decisions regarding disclosure and sales price. Before Purchasing a Home: You should know what you’re getting when you purchase a home. We will do a thorough assessment of a structure and document any areas of concern. Our technicians have years of experience in recognizing or diagnosing issues with a structure. Knowing the true condition of home will allow you to make the appropriate sales offer. We use the most updated technology during all of our inspections allowing our technicians to be accurate and efficient. This is why we offer more than just good inspections. We offer great inspections thanks to the technology we use and the skill of our employees. It’s a good idea for clients to be present while an inspection is being conducted. Our inspectors will talk to you throughout the inspection and explain their findings. This level of communication allows you to receive both an oral report as well as a written report. Reports are always considered confidential and we do not share the information without a client’s authorization. You can be guaranteed of receiving your written report in under 48-hours. If we identified any problems during our evaluation, we will include photographs of those issues along with detailed information in your written report. We can provide Pre-Sale, Pre-Purchase, Multi-Family Structures (such as apartment or duplex), Termite Inspection, and Condominium/Co-Op Inspections. After more than twenty-five years and hundreds of inspections across Queens and Long Island, we are one of the most experienced home inspection companies. 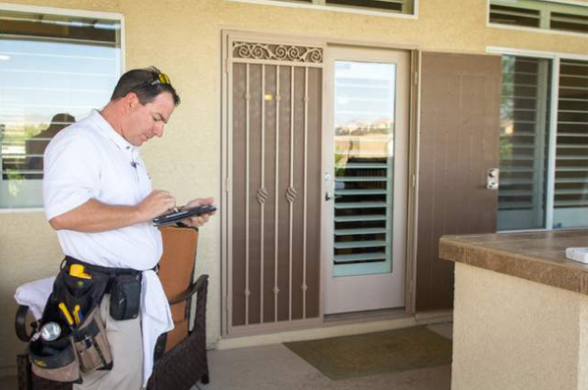 Our inspectors offer an unparalleled work ethic and skill set. Contact us today for a no obligation consultation or an appointment. We look forward to working with you.